Preview - India Blue vs India Red - Deodhar Trophy. 214 days. 30 weeks. Seven Months. Seems a lot of time but not for people associated with cricket in India. Such is the average length of a domestic season (excluding the IPL) in this country. It started with the pink ball in Greater Noida and will culminate with the white ball in Visakhapatnam. Deodhar Trophy is all set to kick-off tomorrow with India Blue taking on India Red in the opening match. Winner of the Vijay Hazare Trophy, Tamil Nadu, will take part as the third team in the tourney. Both the teams have had their share of injuries before the match. India Blue has lost its captain in Rohit Sharma due to a minor knee injury. India Red has lost star batsman, Kedar Jadhav, due to a stomach problem. Veteran off-spinner, Harbhajan Singh will lead India Blue in Rohit's absence. Shreyas Iyer's flight to Dharamsala (as a cover for Virat Kohli ahead of the ultimate test) has created another void in the Blue squad. Both the teams look equitable on paper which further increases the valuation of this match. India Blue has brought in the third-highest run-scorer of the Vijay Hazare Trophy, Ruturaj Gaikwad (444 runs in seven matches at an average of 63.42) to replace Rohit Sharma at the top of the order. To partner him against the new ball will be Punjab's Mandeep Singh. Ambati Rayudu and Manoj Tiwary will add international experience in the middle order. Deepak Hooda and Rishabh Pant will provide firepower down the order. Pant will also perform the wicket-keeping duties. Post his indifferent form, all eyes will be on Shikhar Dhawan. Krunal Pandya did exceptionally well with both the bat and ball during the Vijay Hazare Trophy. His efforts should earn him a No. 7 spot in the India Blue line-up. Shahbaz Nadeem would want to continue his golden patch in domestic circuit in the limited-overs format as well. Shardul Thakur and Siddharth Kaul are likely to share the new ball for the Blue team. Chattisgarh's Pankaj Rao and Karnataka's Prasidh Krishna might have to warm the bench in the first match. Shikhar Dhawan went down like a lead balloon in the Vijay Hazare Trophy. Batting at the top of the order for India Red, he would want to be amongst the runs. This is the perfect platform for him to gain form ahead of the IPL. Karnataka's enterprising batsman, Mayank Agarwal is most likely to open the innings with him. 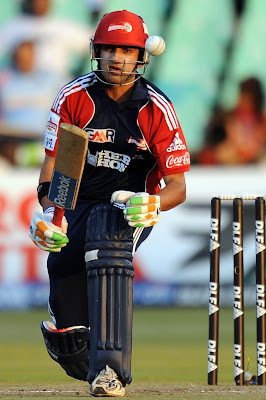 Parthiv Patel will lead the side and also play a crucial role in the batting division. Manish Pandey, Gurkeerat Mann and Axar Patel should consider this as a last chance ahead of the Champions Trophy. Nothing but a sound performance might press their case in front of the selectors. Ishank Jaggi will also be looking to continue his super season in the Deodhar Trophy. One out of Dhawal Kulkarni, Ashok Dinda, Chama Milind and Kulwant Khejroliya will miss out as the fourth seamer. Ambidextrous Vidarbha spinner, Akshay Karnewar, will look at this as an opportunity to perform at a higher level. Shreevats Goswami and Govinda Poddar would be looking for a go as the tournament progresses. The match might be colliding with the first day of a home test for India but it still has its own significance. Domestic competitions bring with them a chance for the rookies to make their name under the guidance of some of the established names in the country.